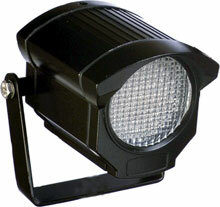 The Axis IR Illuminator has been discontinued. No direct replacement is available. Use the IR Illuminator in combination with Axis network cameras in low-light or complete darkness and you'll have good quality images round the clock without attracting attention. The high quality IR Illuminator can be used in indoor and outdoor environments for both semi-covert and covert applications. The adjustable power settings offer the possibility to match the scene's requirements. The low power consumption of the illuminator's solid-state LEDs (light-emitting diodes) results in ultra-long lifetime and very low running cost.